I decided I had had enough of cooking only for myself! I was going to have people over and make a meal with at least 4 courses! I had in mind that I would keep it Asian as I know I can make the most complex and delicious flavors when I stick to that general area. I had already made the Empire cookies and as I figured they would be fine for my dessert course. I didn’t want to go too crazy. I planned to stick to things that I had been cooking for the last few weeks that I knew I could the best with. This was a bit of insurance so that I would not spend too much money either. 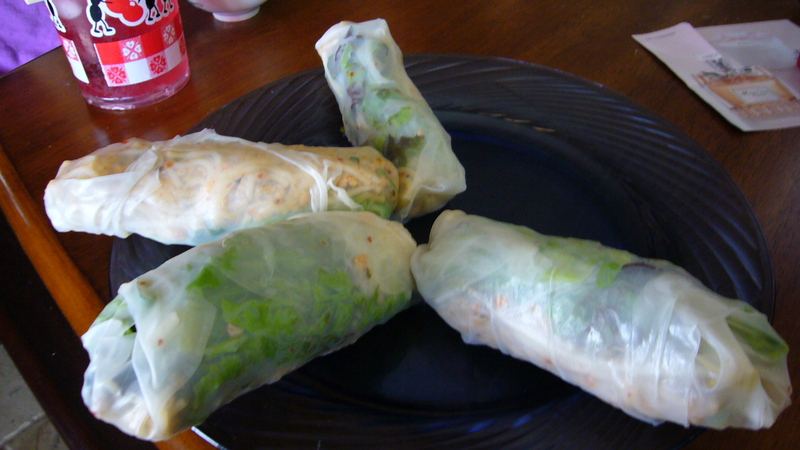 Vietnamese Style Fresh Spring Rolls with minced Chicken. Empire cookies served with Tea. I started the afternoon meal with the Vietnamese style spring rolls. They were a spicy mixture of ground chicken, vermecelli noodles, bean sprouts, and red tipped lettuce wrapped in Vietnamese rice paper. Vietnamese Springs Rolls with chicken. The meat of spring rolls was cooked in chicken broth and then after chopping all the cooked vermicelli noodles ( They are a little hard to bite through) I added to that some lemon juice and chili flake for some heat. 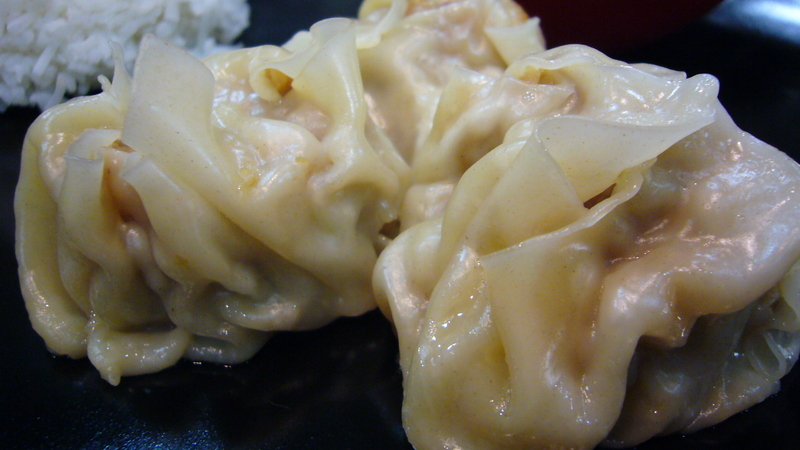 The next course were some Dim Sum that I had made up the day before for some fun challenge. I really want a steamer now as what I was using was not all that utilitarian with what I wanted it to do. I got the job done and they were a big hit anyway. I had tried them the day before and let me tell you I was so happy with them I couldn’t wait to share the jewels of mixed meat and dough. 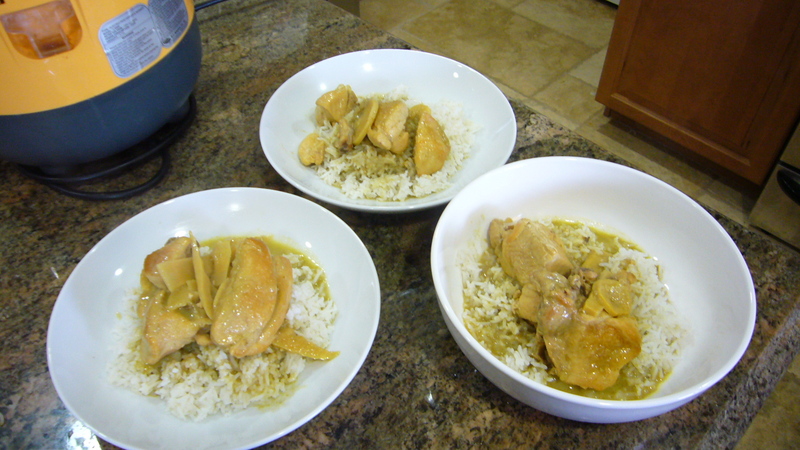 The last dish was for a Thai cononut curry with a different approach than I usually take. I would normally make a pot of curry sauce and then add all the ingredients cooked. I would not cook them in the sauce just use the coconut curry sauce as a base to bring everything together. What I did, was took 2 large chicken breasts and chopped them up into chunks that would work well in the pot that I was cooking in. It is a 2 quart 12 inch cast iron pot with a glass lid. What I did was brown the chicken in the pan with some vegetable oil until it started to smoke and then I turned it over and then added the premixed curry. I then popped it into the oven set to around 400° and let it cook for 1 hour. I, of course was doing this a little in advance so my guests did not have to wait for their food. 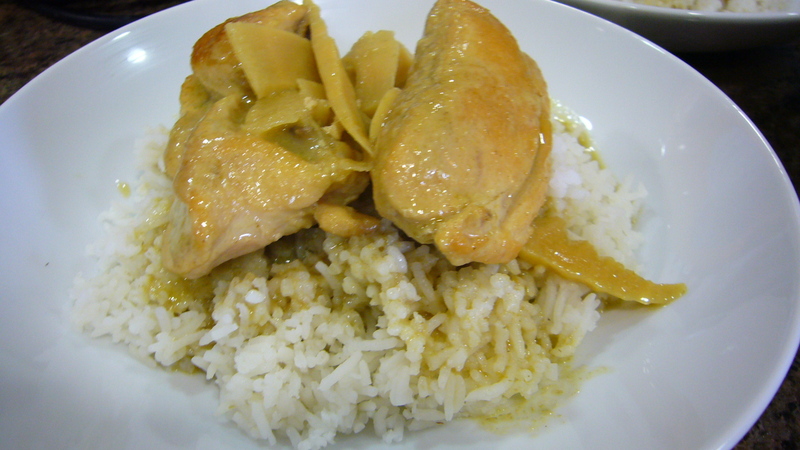 The chicken in the curry was so tender and the sauce was packed with flavor. 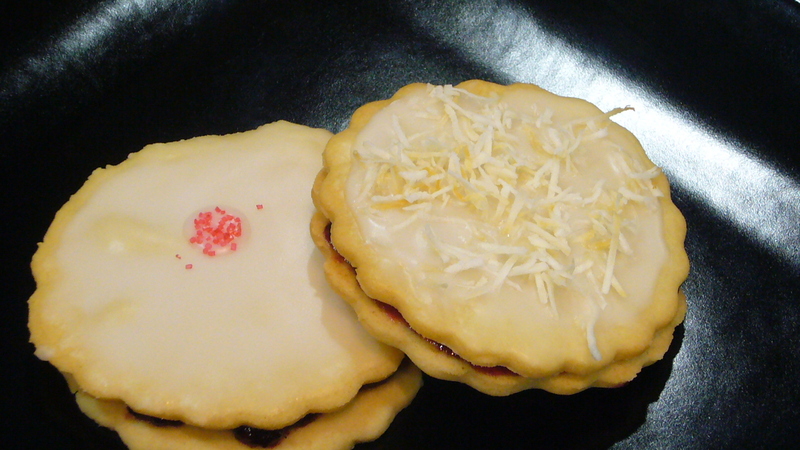 We digested a bit before cracking into The Empire cookies and tea. It was a good afternoon with friends and I look forward to doing something like this again soon! Thanks ladies for coming over and letting me feed you! Good times! ← Banana Coconut Lime Bread and I were meant to be.